Just like the relationships in this novel, my relationship with The Art of Lainey started off a bit rocky. I was even considering breaking up with the book at one point because things didn't seem to be working out. I stuck it out though, and I am so dang glad I did. Because The Art of Lainey was adorable, sweet, funny, and swoony and just the kind of summer book I love to fall in love with. We didn't always have such a solid connection, though. The opening chapter had me doubting if I was going to even be able to finish. Lainey started off as egotistical and shallow, two characteristics I cannot stand in a person (or character). I knew she was going to progress, but I wasn't sure I cared enough to read on. Slowly but surely though, I started to see her change, and found myself excitedly flipping the pages to see the ultimate outcome. It is enchanting to be able to watch a character grow and change throughout a novel, and I loved getting to watch that in Lainey. She became a character I truly cared for. She grew on me, page by page, until I loved every little bit of her. 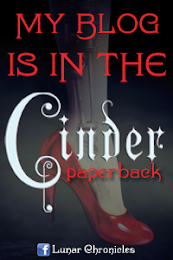 The other thing that had me unsure about the book was the initial writing style. The first hundred pages I found to be a bit forced. I could see the effort to connect to the reader and that made me unable to immerse myself in the story. I just couldn't quite get into the writing. But, just like Lainey, the writing improved and I was soon staring at every word just to soak it all in. This progression, both in writing and character, made the book that much more interesting. I could see the changes happening, and couldn't wait to get to the end to see how it would all come together. And, then there's this kid. His name is Micah and he is twenty shades of awesome. Don't you just love those guys that are genuinely good? And, he may not look like a sweet guy on the outside, but Micah's heart is pure gold. He was witty, and fun, caring, and intriguing. He was a bad boy but one that you can root for (and one you hundred percent ship the girl with)! His scenes with Lainey were delightful and heart-warming. They were both characters I would love to be friends with. Once I got past the initial rockiness, I had so much fun with The Art of Lainey. I was laughing and smiling and loving it. 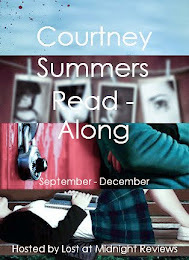 I think this is going to be one of those books I reread because I just had such a good time reading it! AND, something I absolutely loved was that Lainey was a soccer star! I was a massive tomboy as a child, and soccer was my sport of choice. I played for years and still get a rush anytime I get to be on a soccer field, so I adored reading about Lainey's love of the game. It was really refreshing! The Art of Lainey was just the kind of book I love to read on those beautiful summer afternoon. The characters were just adorable, and the story was capitvating and fun, full of growth, self-discovery, love, and just a dash of hope. Simply put, a perfect combination. P.S. 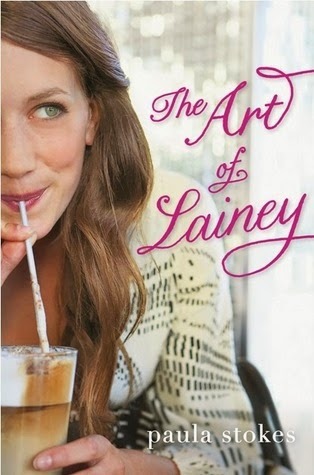 I was also lucky enough to be a part of The Art of Lainey blog tour! Check out my post!